Charles Gaudet, founder and CEO of Predictable Profits, writes about the power of color, how different colors can influence mood and decision-making, and what this means for successful marketing and branding. In a recently published blog post titled, How to Use Colors Your Customers Will Love, marketing expert Charles Gaudet provides an overview of how the subconscious impact of various colors can affect mood, first impressions, and decision-making. 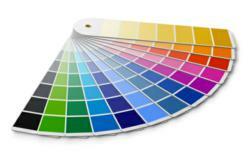 “According to research by the CCICOLOR – Institute for Color Research, between 62% and 90% of a person’s initial judgment of a product, person, or environment is based on color alone,” says Gaudet, emphasizing the importance of choosing the right color scheme for all aspects of a company or marketing campaign. Beyond the importance of choosing the right color to support a specific message, Gaudet also reminds readers that they have to find what works for their business specifically. According to Gaudet, entrepreneurs and business owners should be prepared to test multiple versions of their advertisements to discover which color-driven reactions best suit their unique customers and prospects. The Predictable Profits blog offers regularly updated articles and advice for business owners seeking to tap into unrealized potential and capitalize on underutilized opportunities for more consistent and predictable sales and profit.